Lead a team that’s working for equality. Learn more. Are you ready to be part of a team that’s building people power behind the work for equality? As a canvass director with Fund for Equality, a project of Fund for the Public Interest, that’s what you’ll do on behalf of the Human Rights Campaign (HRC). You'll recruit staff and supporters, raise money, train activists and mobilize thousands of people to take action. If you’re ready for an opportunity to develop communication and leadership skills that will last a lifetime while generating the grassroots people power that’s behind all social change, then you could be ready to be a canvass director with Fund for Equality. We’ve made some real strides toward equality for lesbian, gay, bisexual, transgender and queer people. But we’ve also seen backlash. And in the current political climate, opponents to reform have become bolder and stronger. 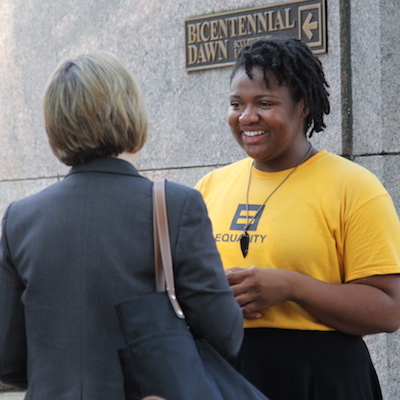 To achieve LGBTQ equality in the workplace and end discriminatory practices in our own communities, we need thousands of people to get involved and put their voices and hard-earned money behind the Human Rights Campaign. That’s what we mean by people power, and that’s what Fund for Equality delivers. We’ve been running grassroots campaigns across the country since 1982. 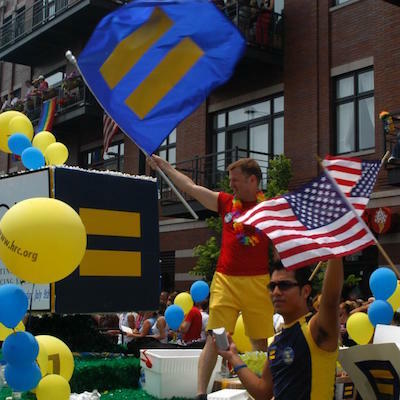 Over the last 20 years, we’ve worked on behalf of the Human Rights Campaign to help win important rights for LGBTQ Americans. 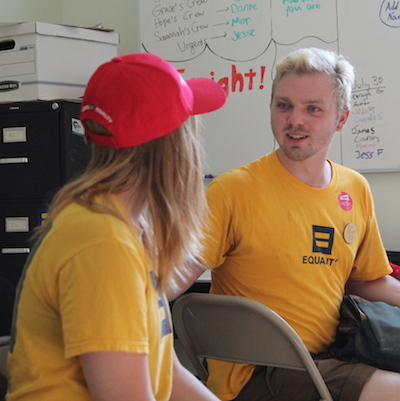 Our canvassers have held hundreds of thousands of conversations about equality, signed up tens of thousands of members for HRC and raised millions of dollars for HRC campaigns. Change takes people power, and people power starts with you.